Advanced Big Data and Analytics solutions. Your enterprise has immense data resources. To capitalize on them, you need more than standard reporting systems. Given the mix of structured and unstructured information, effective analysis now relies on powerful business intelligence and analytics, integrating the data into new business processes. BairesDev provides advanced Big Data and Analytics solutions, to rapidly provide insights on operations, customers and products. We support predictive analytics, real-time dashboards, master data management and more. 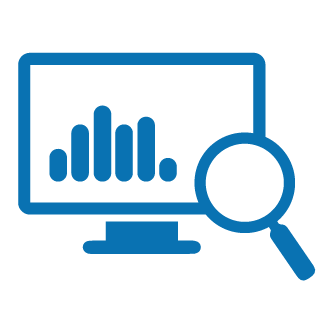 We can help you to significantly increase the effectiveness and capabilities of your BI (Business Intelligence) reporting; minimize IT support costs and improve user experience, by giving more power to business users, and creating interactive reports with deeper competitive insight, meaningful dashboards, and scorecards. Our enterprise data warehousing service provides your business with data for consolidated views across your company and visibility across business units. With several years’ knowledge and experience, we eliminate all risks associated with new technology adoption. By addressing common Big Data technology challenges, such as scalability, performance, extensibility, and availability, we can help you achieve new opportunities for your business. We rely on proven architecture approaches (such as Lambda Architecture and Microservices) and best matching cost-effective technologies. Our Data Science group is focused on solving problems, finding hidden patterns, in both structured and a wide variety of unstructured types of data (such as social media content, textual data, images, audio and video streaming), and using distributed and massively parallel Big Data and Stream processing solutions, as well as high-performance GPU-accelerated computing concepts. Cross-system data integration and consolidation are the most common challenges that organizations face when they implement enterprise-level information systems. Using event processing, massively parallel processing, and data distribution, we enable data consolidation from various sources including CRM, ERP, and other enterprise systems.